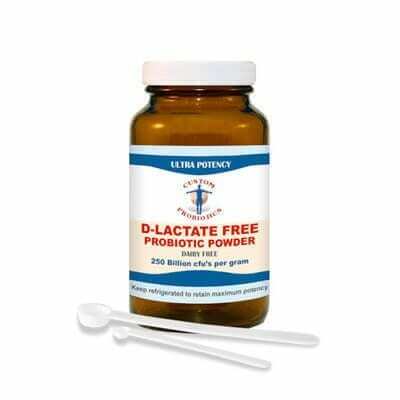 Custom Probiotics D-lactate free formulation contains 480 billion cfu’s per gram. It consists of L. Salivarius, L. Rhamnosus, B. Bifidum and B. Infantis, and is most specific for autistic children. Taking D-lactate free probiotics avoids the lactate acidosis that some autistic children suffer from when taking probiotics. Recent studies in Belgium have also indicated that D-lactate free probiotics may be beneficial in cases of Chronic Fatigue Syndrome and ME. Custom Probiotics D-lactate free formulation current batch contains 480 billion cfu’s per gram. It consists of L. Salivarius, L. Rhamnosus, B. lactis, B. Bifidum B. longum and B. Infantis, and is most specific for autistic children. Taking D-lactate free probiotics avoids the lactate acidosis that some autistic children suffer from when taking probiotics. ‘My son Nikolas is 5 yrs old and he has been diagnosed with PDD which is a form of autisim. He also has had severe eczema, so bad that to take a bath or a shower was extremely painful. He had to wear bandages every day on his arms due to the broken skin from scratching. He couldn’t sleep due to the itching and pain he was in. Nikolas was covered from head to toe in September with his eczema. For some reason it was getting worse. We tried every lotion and steriod cream available. Nothing helped. I took him to see a nutritionist who works with autistic children. She recommended a diet free of dairy and gluten and also a high count probiotic. 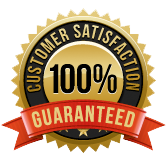 We immediately implemented the diet and I called and ordered the D-lactate free probiotic that was recommended for autistic children. I received the shipment within 2 days and started him on 1 scoop in the morning and 1 scoop at night before bed. Every 2 days I added a scoop in the morning and evening until he was on 8 scoops in the morning and 8 at night. He did not seem to experience any ill effects of die-off. I didn’t realise it until later but I was using the adult scooper instead of the child’s. No wonder our supply diminished so rapidly?! The changes that took place in just 5 days were nothing short of a miracle! His skin was calming down and his speech and attention were incredibly better. Everyone who saw him after the 5 days of treatment was amazed. People have commented that he is a new little boy and I absolutely agree. We were sitting at the dinner table on the 5th day and for the 1st time ever Nikolas asked if he could share the day he had at school with us. We were blown away my husband and I just looked at each other, we could not believe that he actually understood that this is what we did at dinner or that he could actually verbalise his own thoughts and experiences. We sat there and never answered just tears welling up in our eyes. Nikolas didn’t wait for an answer he just started telling us what happened at school, who said what, where they went, every little detail of the day. For anyone with an autistic child you can understand my excitement about what has happened. One day we have a little boy who barely talks and is hard to understand, who doesn’t seem to participate in the things that are happening around him and in 5 days we have a new little boy who is actually here with us and not in his own world! Today as I write his skin is milky white with only traces of his eczema left, I’m sure it will take a while for the scars to heal but thank God no new outbreaks. He is on 2 scoops in the morning and 2 at night. Custom Probiotics recommend that their powder formulations be kept in a freezer to maintain maximum potency.